Dr Elisa Herrera Altamarino on running communities at the RUN! RUN! RUN! Biennale #r3fest 2018 in Paris from kaisyngtan on Vimeo. Reading by Dr Vybarr Cregan-Reid at the RUN! RUN! RUN! Biennale #r3fest 2018: Dangerous Movements from kaisyngtan on Vimeo. View of artist Dr Veronique Chance’s installation at the RUN! RUN! RUN! 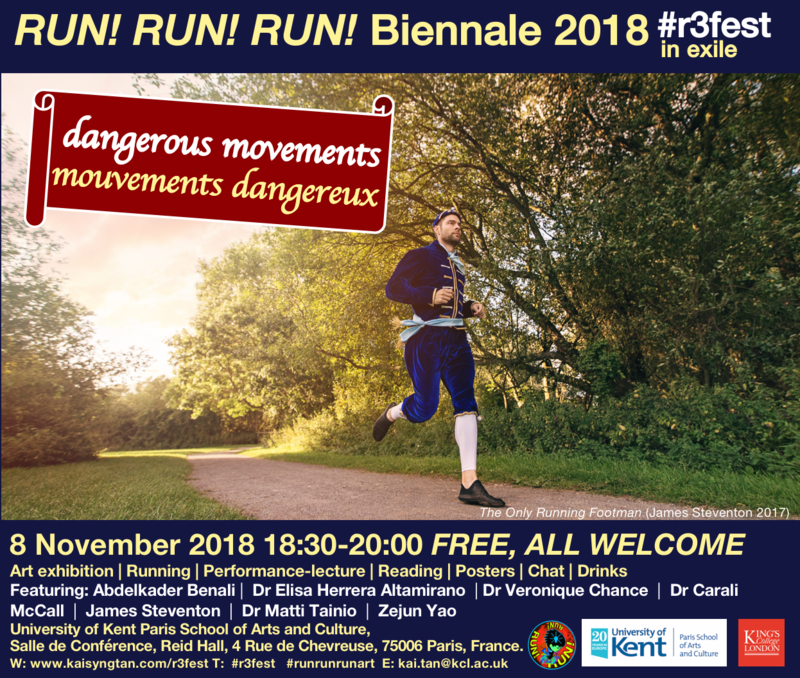 Biennale #r3fest 2018: Dangerous Movements from kaisyngtan on Vimeo. Professor Peter Brown interacting with Zejun Yao’s installation at RUN! RUN! RUN! Biennale #r3fest 2018 in exile in Paris from kaisyngtan on Vimeo. 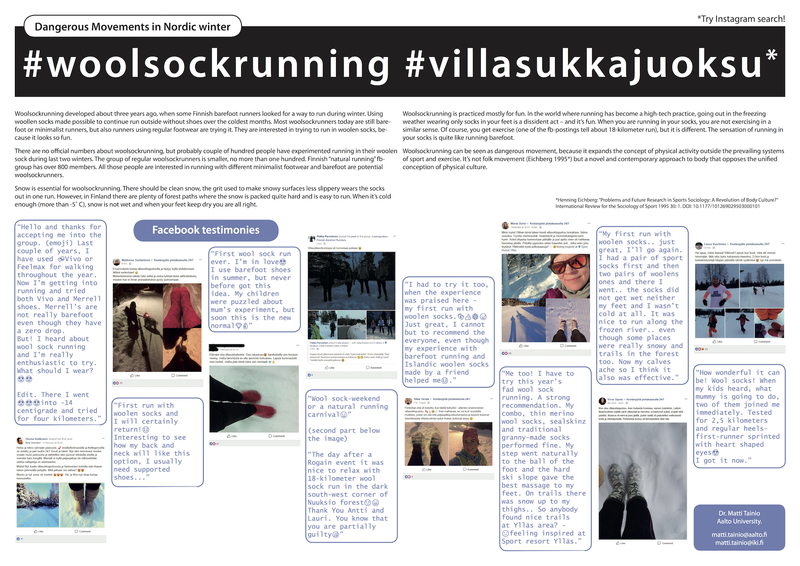 What is #woolsockrunning? Clip by YLE Finland. See Dr Matti Tainio’s poster for context. ‘Running Adrifts: The Memory of Water’ interview by Elisa Herrera Altamirano from kaisyngtan on Vimeo. ANTI Adult RUN! RUN! RUN! by Kai Syng Tan and Alan Latham commissioned by 2015 ANTI Festival of Contemporary Art from kaisyngtan on Vimeo.